Do you want adventure in the great wide somewhere? 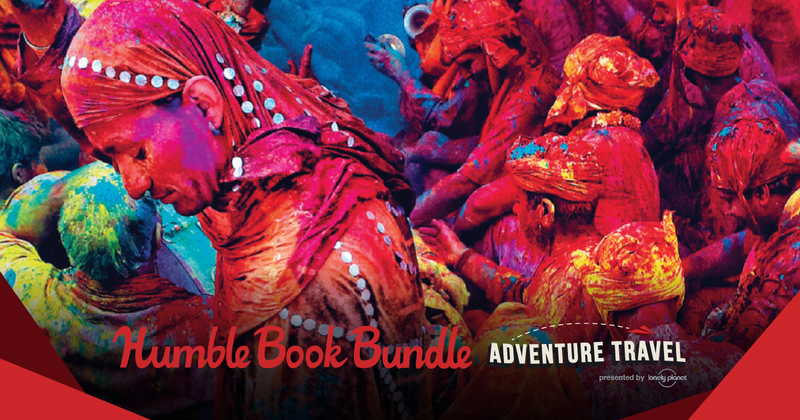 This Lonely Planet book bundle is your ticket outta here. Get Secret Marvels of the World, A Spotter’s Guide to Film (and TV) Locations, The World’s Best Spicy Foods, Volunteer: A Traveller’s Guide to Making a Difference Around the World, and more great titles from the celebrated travel publisher! This will inspire readers of all ages to seize the moment, channel their inner hero, explore the world, create moments they will celebrate for years to come, and share their incredible stories. Providing suggestions for life’s essential experiences for every stage of life, this is a perfect eclectic gift of ebooks for a life well-lived. Combining stunning photography with illustrations and infographics, it will surprise and entertain with a quirky mix of experiences everyone should try at some point in their life. It’s adventure time! Do you want adventure in the great wide somewhere? This Lonely Planet book bundle is your ticket outta here. Get Secret Marvels of the World, A Spotter’s Guide to Film (and TV) Locations, The World’s Best Spicy Foods, Volunteer: A Traveller’s Guide to Making a Difference Around the World, and more great titles from the celebrated travel publisher! Pay what you want. All together, these ebooks would cost over $331. Here at Humble Bundle, you choose the price and increase your contribution to upgrade your bundle! This bundle has a minimum $1 purchase. Support charity. Choose where the money goes – between Lonely Planet and War Child via the PayPal Giving Fund. If you like what we do, you can leave us a Humble Tip too!